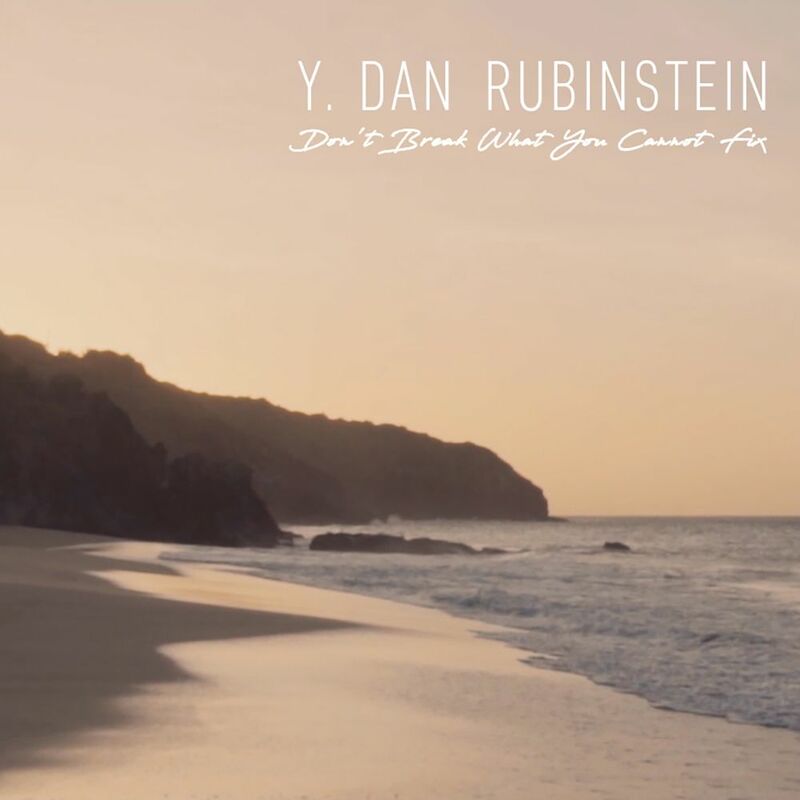 raised || by || cassettes: Music Review // Y. Dan Rubinstein "Don't Break What You Cannot Fix"
"Don't Break What You Cannot Fix"
Right from the start, the song "Don't Break What You Cannot Fix" has this smooth and chill sound to it which I find difficult to compare with other music. It's not just that I cannot think of music I've heard that this sounds like- it's that general way about it. If it was a little more like something else it could be They Might Be Giants, but it's not quite that. If it was a little less another way it could be Fastball, but it's not quite that either. Y. Dan Rubinstein just has this rather direct approach to the rock where it's not too fast, not too slow, but it just seems to get right to the point musically. While I feel like I've never typed that about music before (and I like that) there is also a sense of meaning within these lyrics that I can strongly relate with. There exists a story of internet legend where someone recalls being in school and their teacher says to squeeze all of the toothpaste out from the tube and they all do it, having fun and being carefree, and then after the teacher asks them to try and put it back in. This song captures that in its own way, though I also like the idea of smashing a plate on the floor, apologizing to it and seeing if it puts the plate back together. The chorus of: "Don't fight / No, don't resist / It's easier to insist / Than break what you cannot fix" is a warning. Most of the time- maybe 99% of the time- I would suggest fighting and resisting, you know, in a true form of rebellion. But part of that resistance is knowing when to do so and when to keep your mouth shut. Yes, there are times to fight but it's about picking and choosing your battles. You don't want to engage in a battle in which even when you win you still lose. Musically, I am just such a huge fan of this song- of its style because it feels like certain artists but it isn't them and it just has its own sound. Not always, but sometimes I feel like when bands do these long intros or repeat the chorus seventy times when fifty would've been enough, I just feel like music can waste time when you should be thinking about how to best use your platform for what you want to say once you have someone listening. Y. Dan Rubinstein has no wasted notes and this song will hopefully lead to many more as insightful in the lyrics as it is unique in its sound.